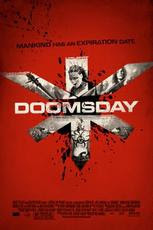 Doomsday, what could we say? A film that had a lot of potential but blew it big time. References to Kwame Brown anyone? Two reasons could sum it all up. First, we thought it was going to be scary; just like those zombie-infested movies that we really like! Second, the trailer showed a very interesting story and a very promising movie that didn’t turn out the way we thought it would. The movie is about a virus that spread throughout a whole city that they had to close down in order for the virus to stop spreading. They all left the people inside the walls of the city to die. After 25 years or so, the virus is back and the satellite findings show that there are actually people who are alive that are within the walls of the city. The city they once labeled as a ghost town actually showed evidences that there are survivors. Because of this, they sent a team to go inside the walls of the city to actually find a cure to the virus. The way the movie turned out left us in disbelief. We didn’t feel any emotional attachment to the characters; there was little or no time devoted to getting inclined with the characters. You wouldn’t feel anything even if the characters were brutally killed (which actually happens a lot in the film). We couldn’t believe how strange it suddenly became when there was actually a “medieval like” setting in a supposedly futuristic movie. The film tried to meld a futuristic world with mixes of punk on one hand and medieval themes on the other; it failed miserably. It seemed and looked like a high budgeted movie but effects and graphics alone do not make a good movie, great even more. It could really have been better. What a waste of potential. - Emma Cleasby, the lead character was really hot!